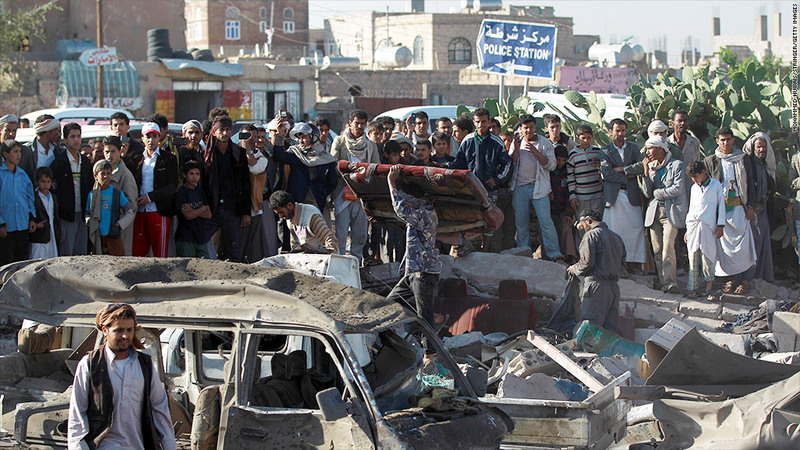 Will unrest in Yemen disrupt financial markets? Oil prices bounced higher Thursday as Saudi Arabia launched airstrikes in Yemen, raising concerns that a regional conflict could disrupt supplies. The airstrikes were aimed at rebels -- believed to have the support of Iran -- who have been fighting to overthrow the Yemeni government. 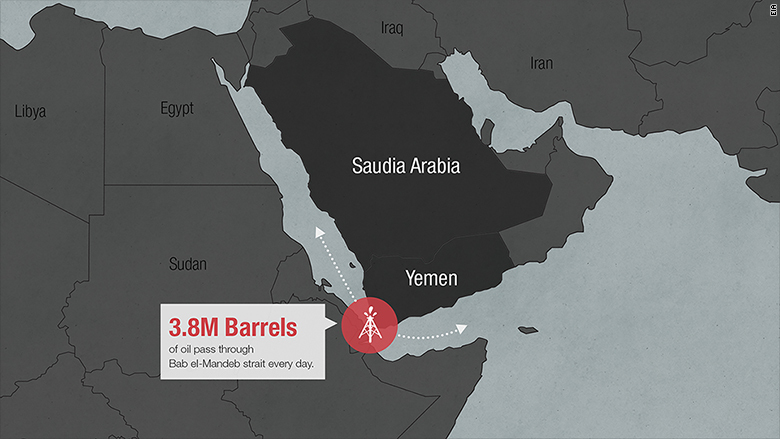 Saudi Arabia is the world's largest oil exporter, and investors fear its involvement in the unrest could have a negative impact on production. It has the world's largest proven oil reserves and production capacity. The country's leading position within the OPEC cartel makes it a key player in setting world oil prices. Adding to the uncertainty is Yemen's strategic location on a shipping route linking the Mediterranean and the Indian Ocean. Tankers carry about 3.8 million barrels of oil each day through the Red Sea and Suez Canal to Europe. Supplies to the Americas typically take a longer route around the southern tip of Africa. Oil prices gained as much as 6% early Thursday. U.S. crude futures were up about 4% at $51 a barrel. Saudi Arabia's military operation in Yemen has the support of nine mostly Arab states. Iran condemned the intervention and called for an immediate end to the strikes, Iranian state media reported. The surge in oil followed a sharp sell off in the U.S. stock market overnight. European markets were all declining by about 1% to 2% in early trading and most Asian markets closed with losses. Oil has been trading at six year lows for much of the year after crashing 50% in late 2014 due to a global supply glut.